Lay the nori sheets out on a flat rolling surface. 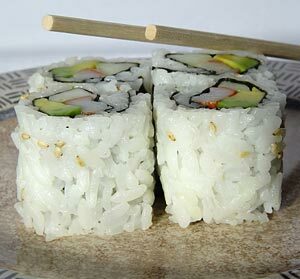 Spread the sushi rice evenly over the sheets or seaweed, and sprinkle the sesame seeds over the surface. 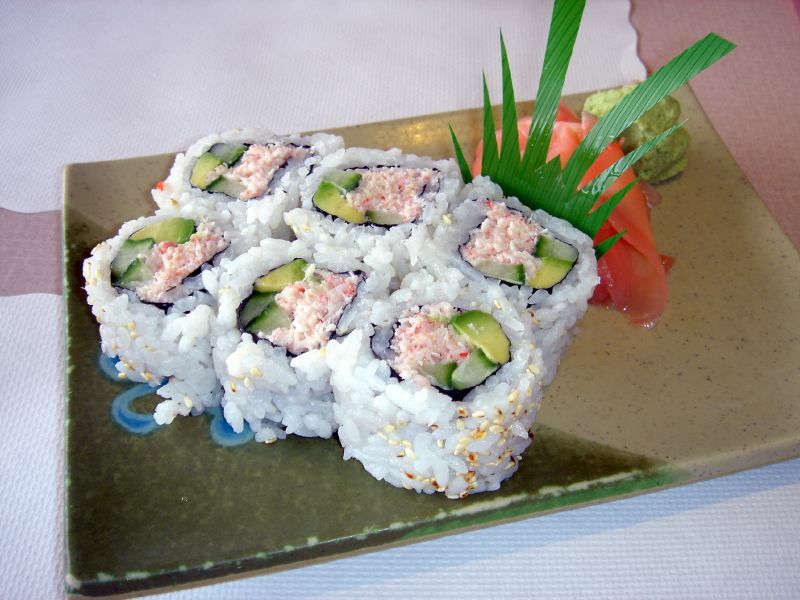 Place the crabmeat and mayonnaise in a small bowl and mix thoroughly. 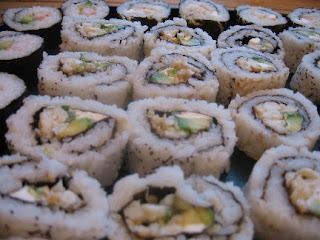 Spread the mixture evenly down the center of each roll and top with avocado and cucumber.